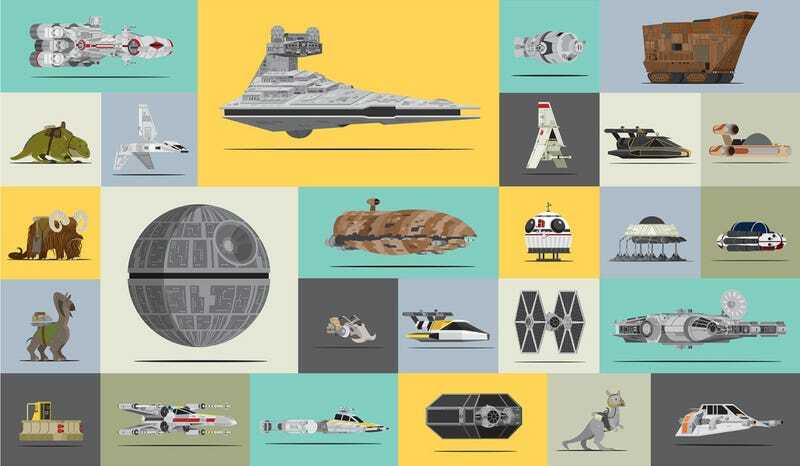 Artist Scott Park managed to do the incredible: he drew nearly all the identifiable spaceships and vehicles and animals used in the original Star Wars trilogy and laid them out in one awesome poster you can buy. There’s basically everything you love and know here: the Millennium Falcon, both Death Stars, TIE Fighters, AT-AT, and more. You can buy the full poster here. You can also snag versions of the poster specifically for Episode IV, Episode V, and Episode VI.